When the concrete areas around your home are no longer clean and bright, it's like framing your home in dirt, as the curb appeal of your property suffers tremendously! Yet it's no surprise why your concrete gets so dirty so quickly. 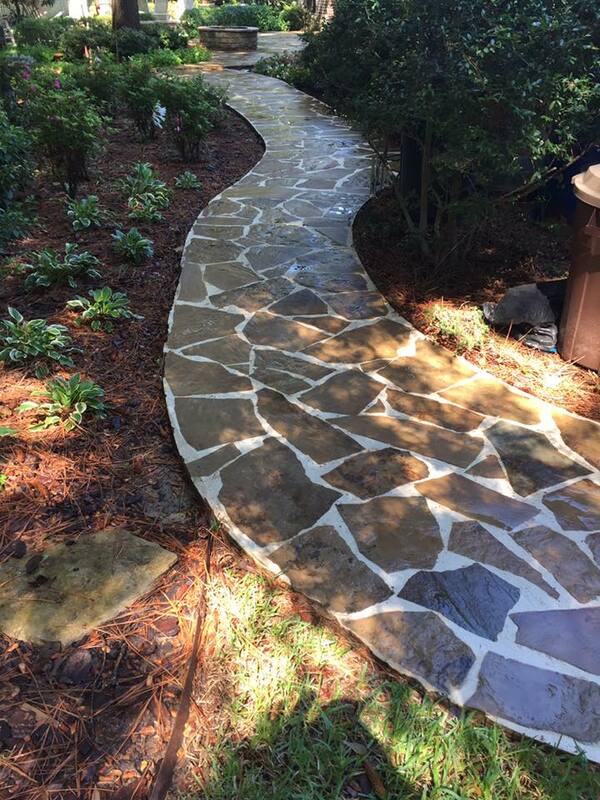 The concrete surfaces around your home make up the most traffic-heavy parts of your property. 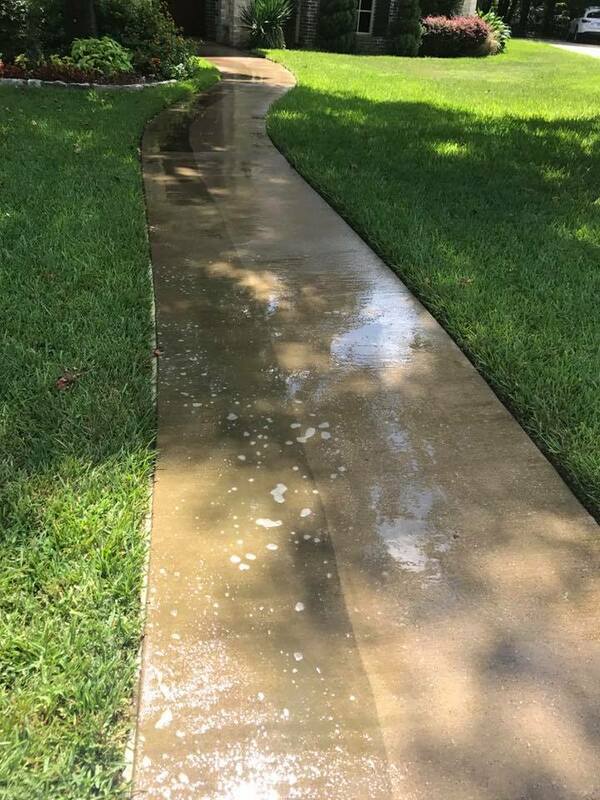 Sidewalks and patios battle foot traffic from both your family and your pets as well as everything else Mother Nature throws at it, while your driveway gets all of that PLUS fluids leaking from cars, fertilizer stains, decomposing leaves, and a whole host of other contaminants. 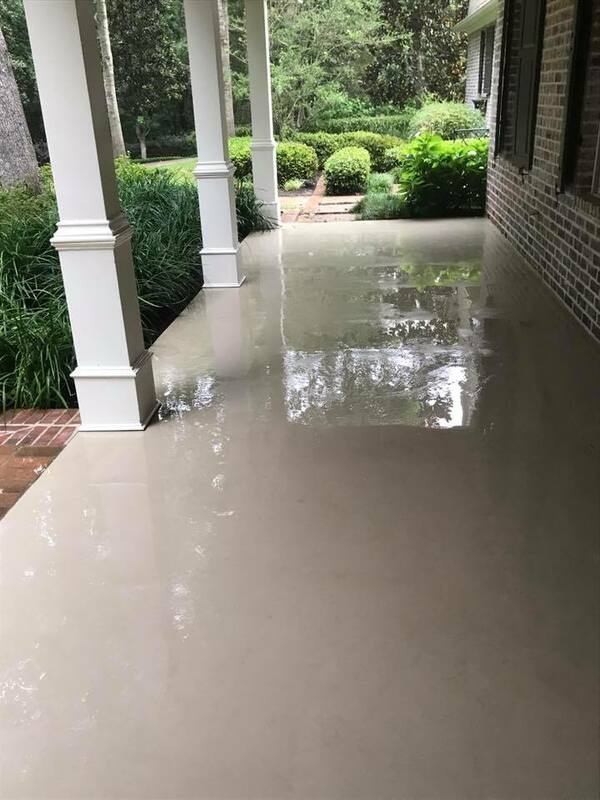 Without concrete cleaning service from Poseidon Power Washing to keep these surfaces clean and bright, even the most beautiful home will take a major hit to its curb appeal! 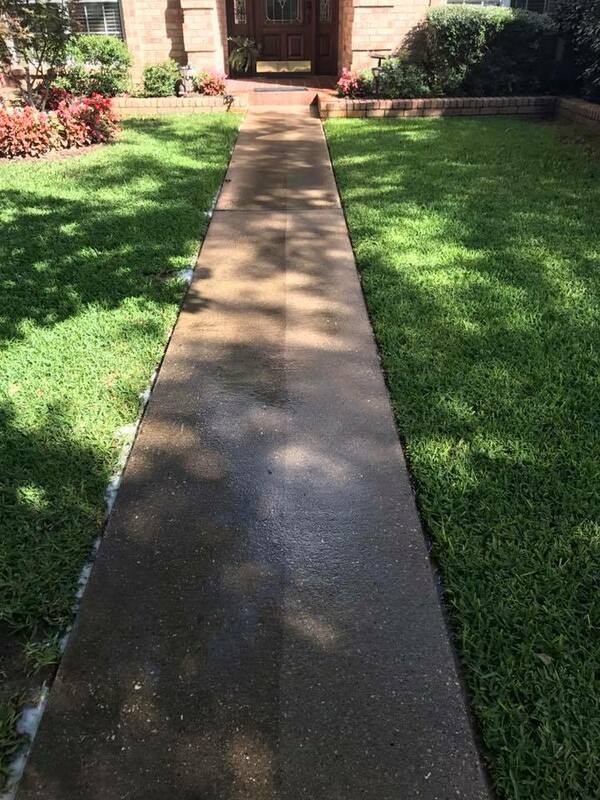 Most, if not all the concrete around your home has a porous surface that can trap small bits of dirt and water. 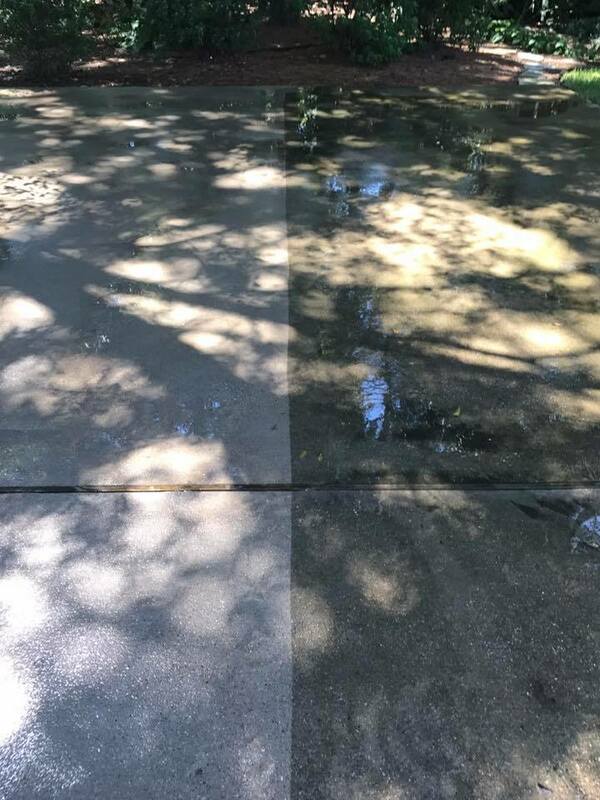 These pores become a breeding ground for algae, mildew, and other organic stains, which you see as the darkened, black patches that spread over the surface of your concrete. Not only are these patches slippery to walk on when wet (increasing the risk of accidents on your property), but when you walk on them you track these spores into your home where you and your family can breathe them in! 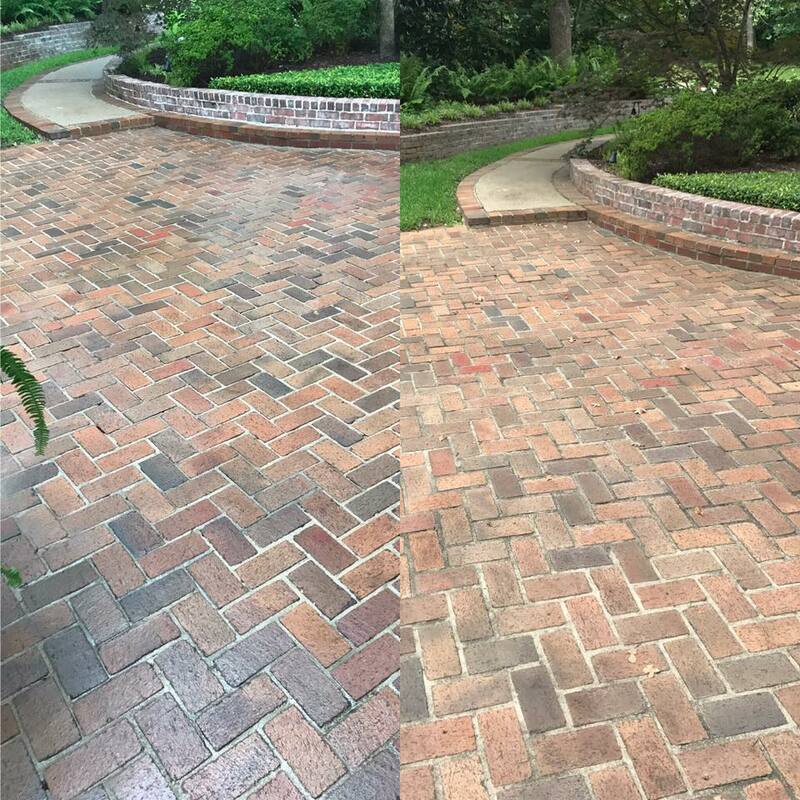 Having your driveway and concrete areas cleaned regularly is a great way to keep your property looking great and protect your family. 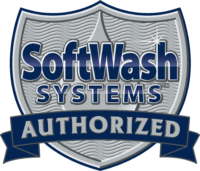 As our name implies, power washing is our specialty. 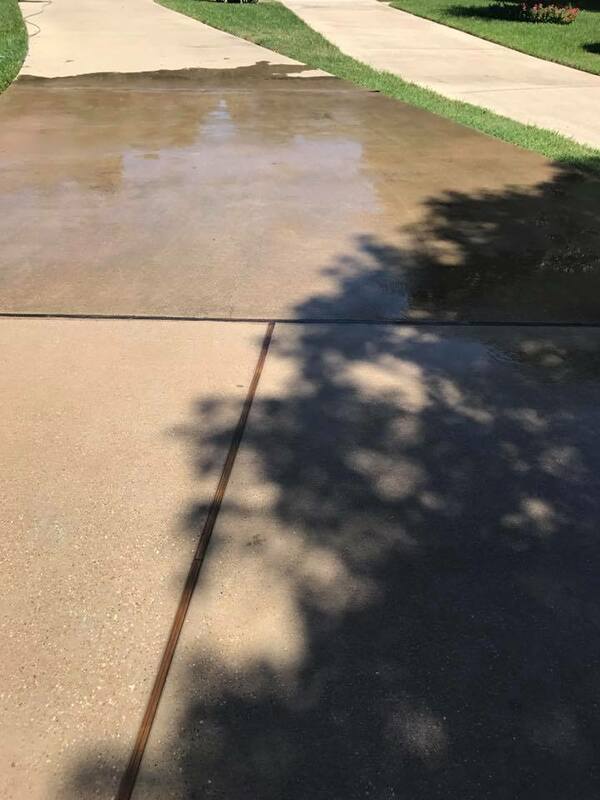 Using industry leading techniques and state of the art, professional grade pressure washing equipment, our technicians know how to restore a spotless clean back to your driveway and concrete areas. 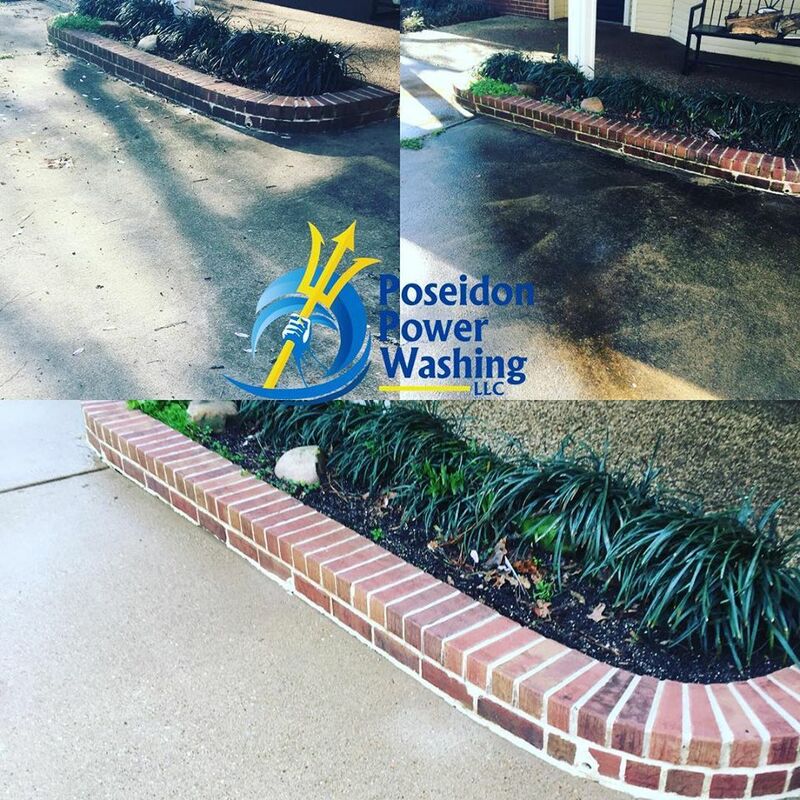 Poseidon Power Washing is proud to deliver the best driveway and concrete cleaning service in the Tyler, TX area. 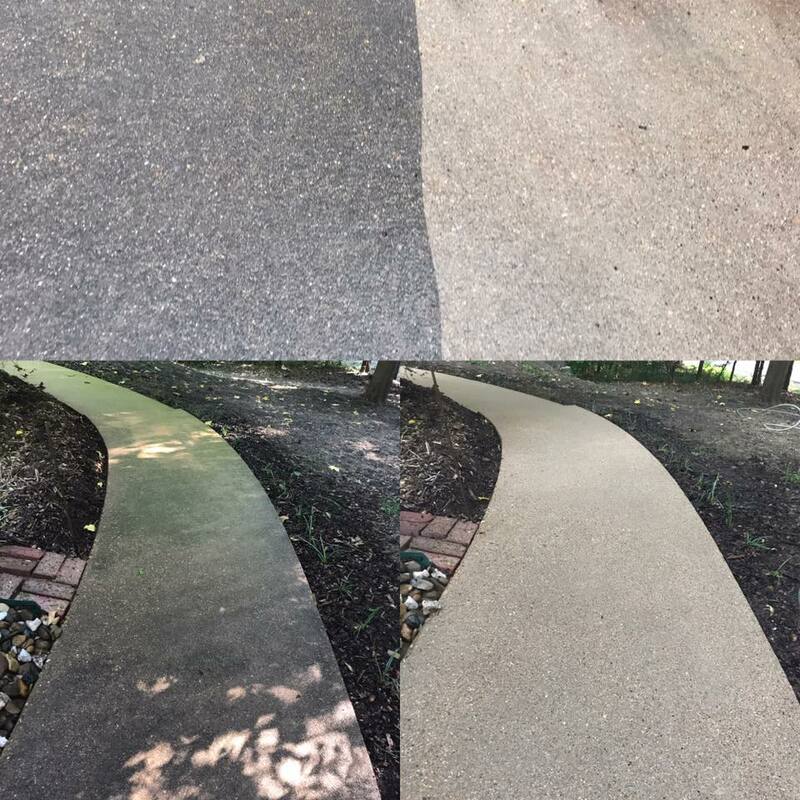 We pride ourselves on making every step of our concrete cleaning service as easy as possible for our customers. 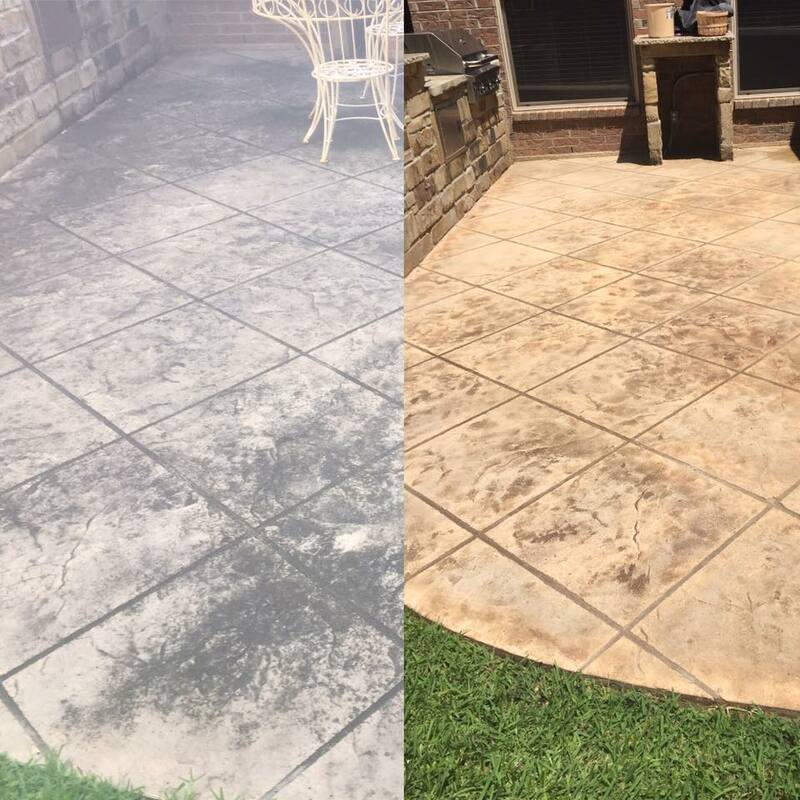 From our simple and direct estimates, or taking the time to explain exactly what our service will entail, to ensuring that any outdoor furniture in the cleaning area is protected, you will know that you are not just dealing with "another power washing company". 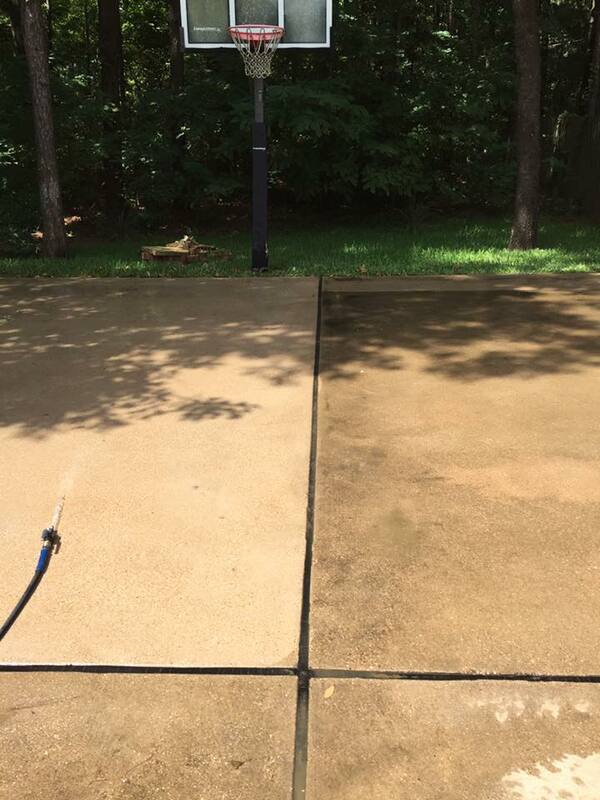 See for yourself why so many in Smith County turn to Poseidon Power Washing for their driveway and concrete cleaning.